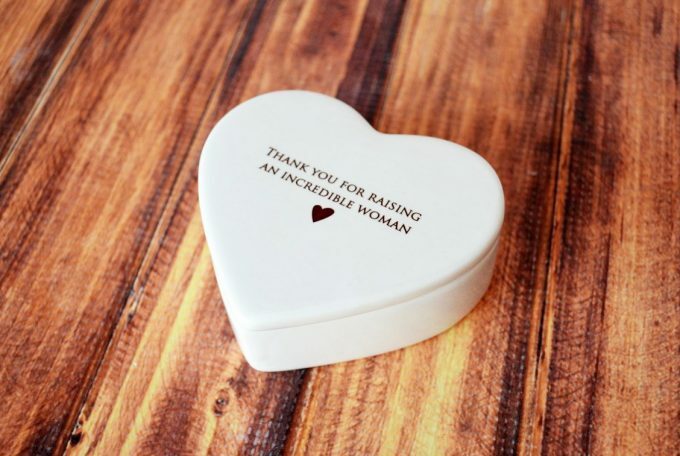 Are you looking for a jewelry box for the mother of the bride or groom? Then you’ll love this find! 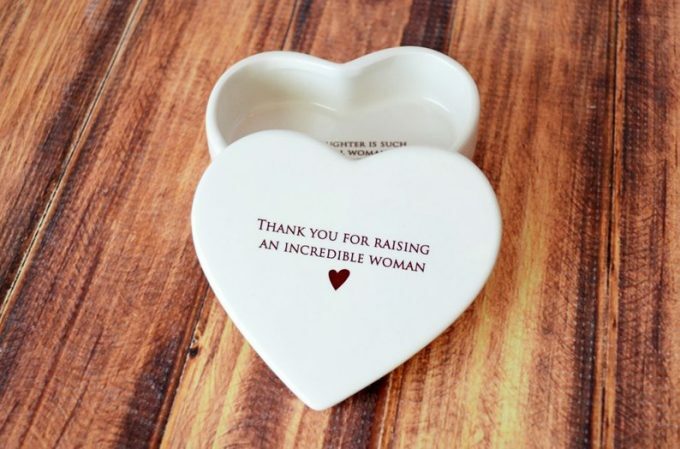 Everyone always talks about gifts for the mother of the bride from the bride, but not from the groom. So when we stumbled upon unique jewelry box by Susabellas, we couldn’t wait to share it. 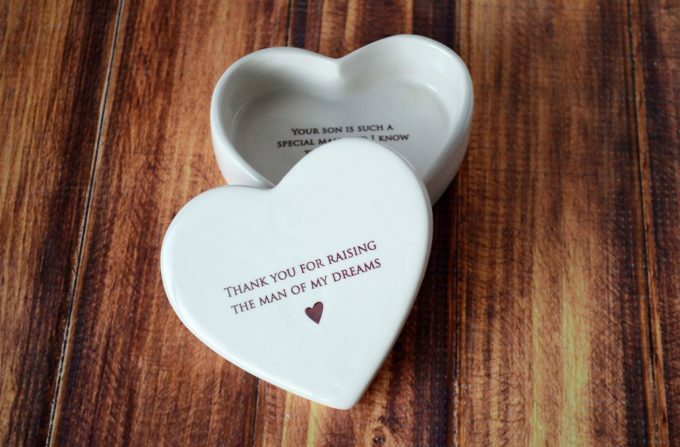 This sentimental jewelry box makes a perfect gift from the groom, one she will use and cherish for years to come. 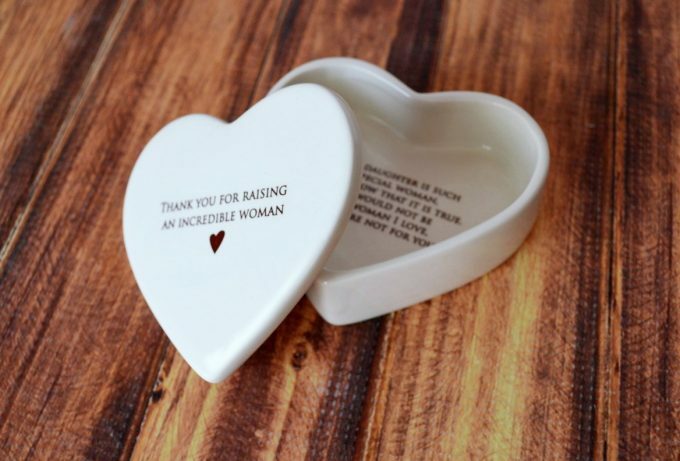 On the top of the jewelry box, it reads: “Thank you for raising an incredible woman“. 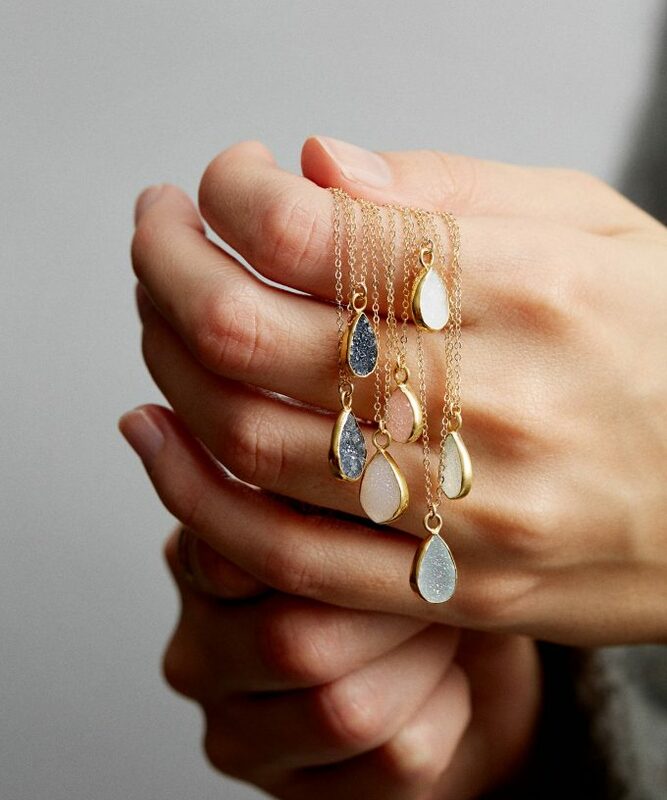 It’s the perfect-sized jewelry box, measuring 3 ¾” L x 3″ W x 1 ½” H.
You can add a piece of jewelry inside, if you wish; the teardrop druzy necklace from here is always a great suggestion for a necklace she’ll love. 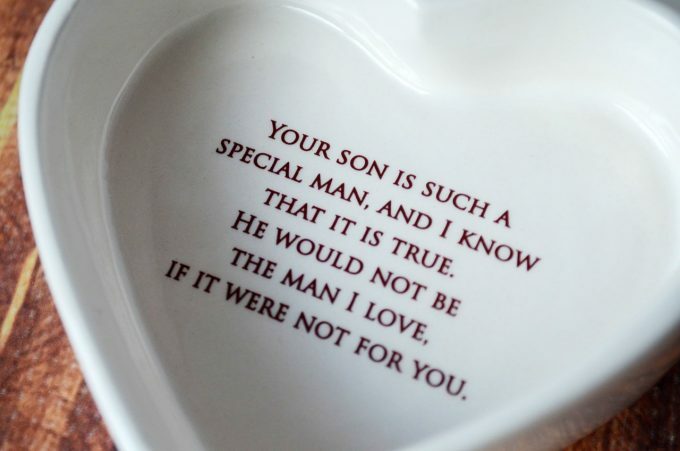 As you can imagine, the mother of the groom would love one from the bride, too! Here’s an example of the jewelry box for the mother of the groom. Buy your mother of the bride jewelry box (or mother of the groom jewelry box) from Susabella’s here. GIVEAWAY: His and Hers and Dog Key Holder!